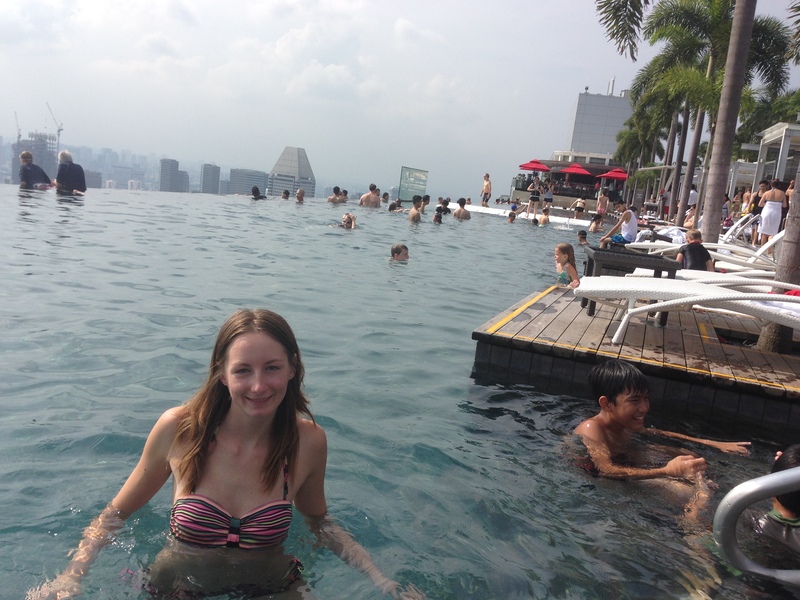 Staying at Marina Bay Sands – Is it worth it? 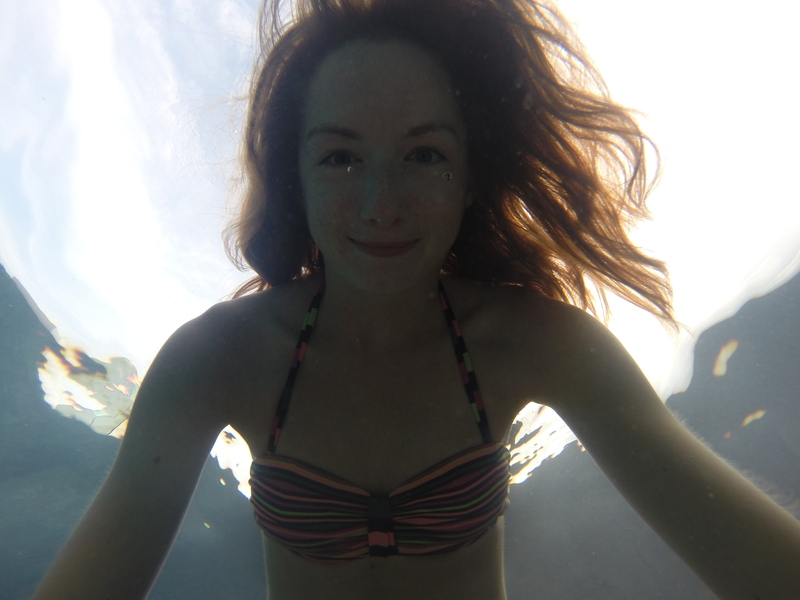 | Travel Hacker Girl - A blog for travellers. 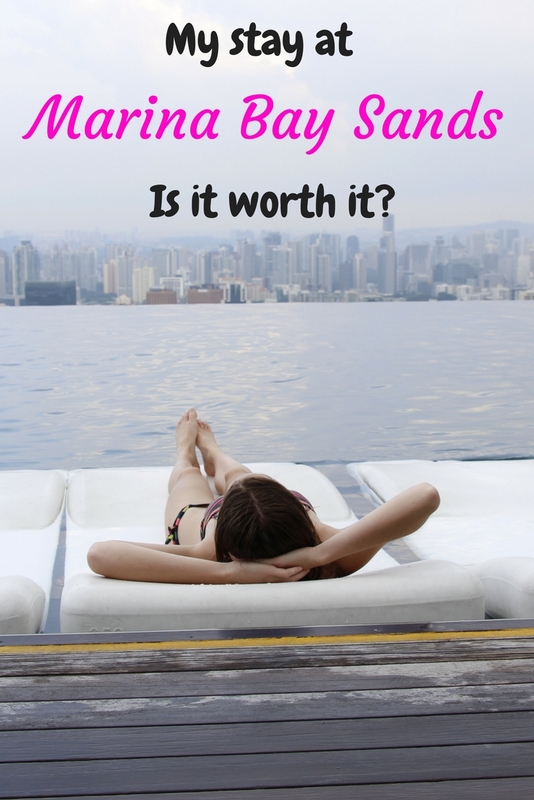 Staying at Marina Bay Sands – Is it worth it? I remember the day I set off on my first solo adventure to Russia. I was excited about what the future holds for me. During the year I feel like I changed a lot. I became independent, more open-minded and self-confident. I wanted to celebrate and spend my “anniversary” to remember all the things I achieved and all the people I met. 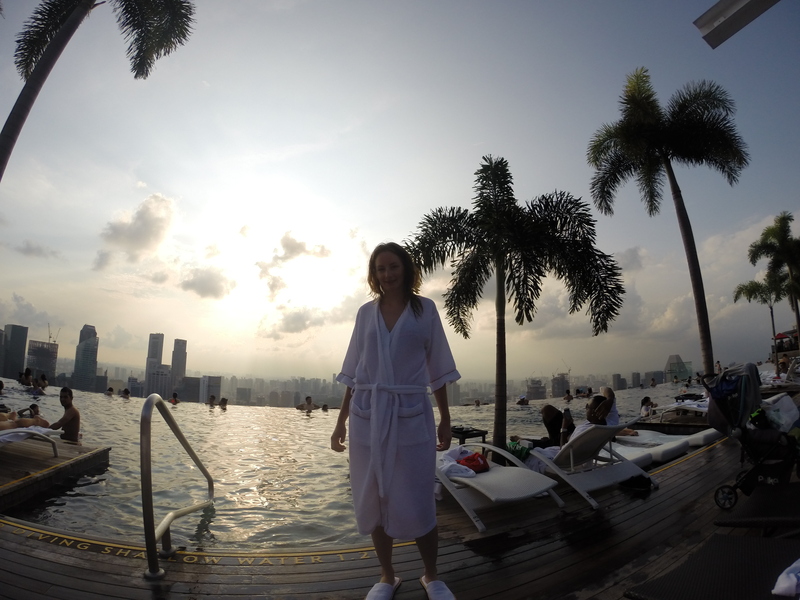 I happened to spend that day in Singapore. 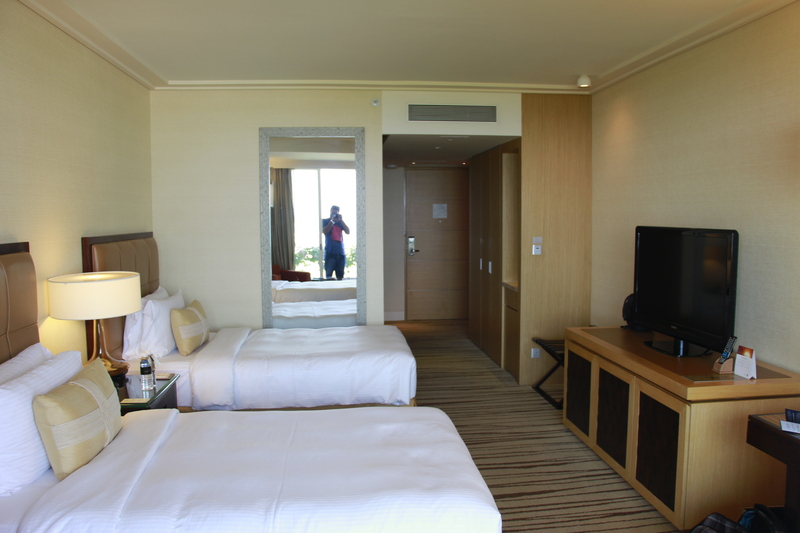 I didn’t think for long to decide where to stay in Singapore. There is one that has been on my bucket list for a long time! I guess you know where this is going. 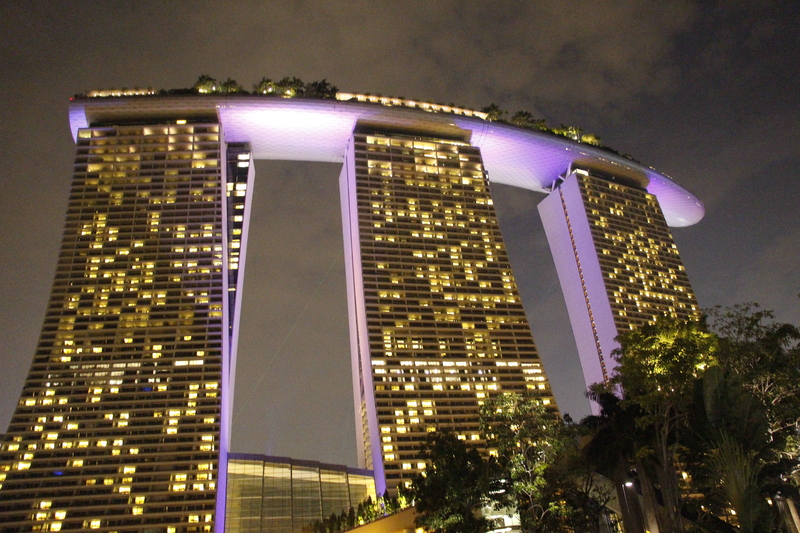 That’s right… I decided to go to Marina Bay Sands Hotel. Even 1 night there is just crazy expensive, but it’s not like I’m in Singapore every day and I celebrate my 1 year anniversary on the road. Still I don’t like wasting money, so I searched for a roommate on Couchsurfing. I found Abishake, who is a really nice guy, and we could share the room, expenses and experience. 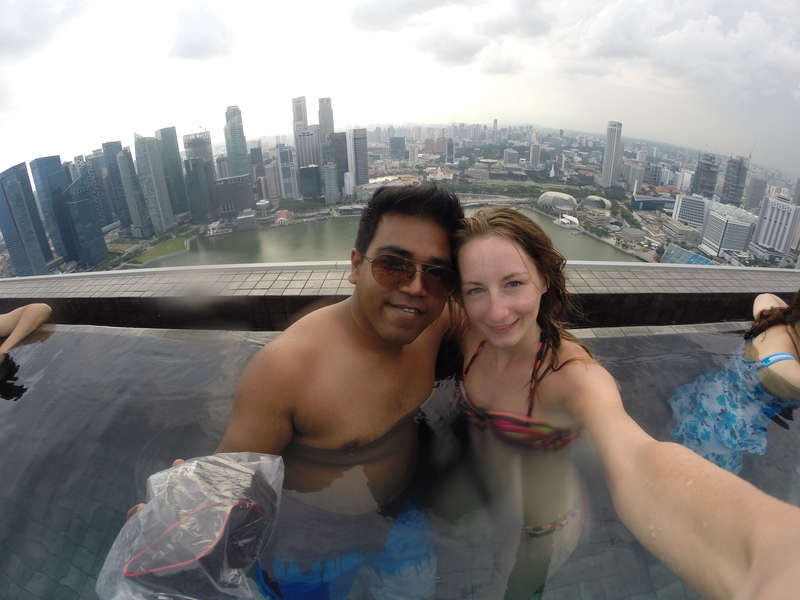 I splashed out for the one-night and for the rest of the trip I stayed in hostels in Singapore. 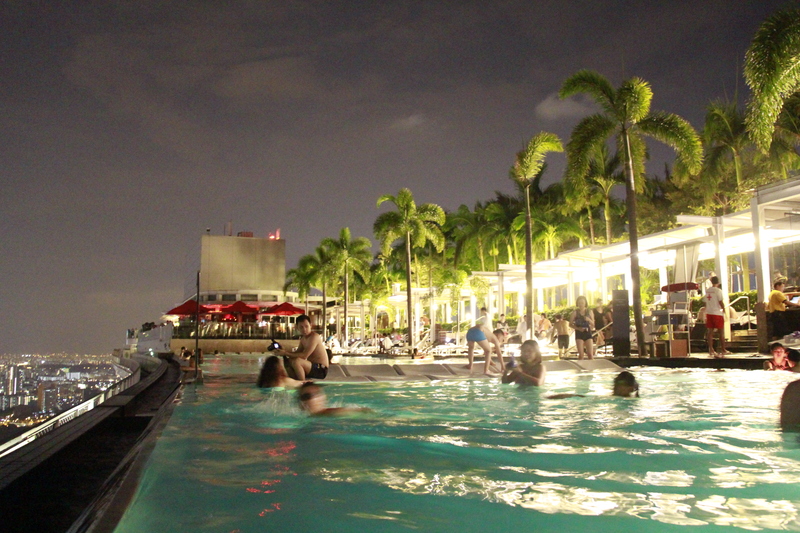 Oh and of course the pool…the whole reason I wanted to stay in the hotel. 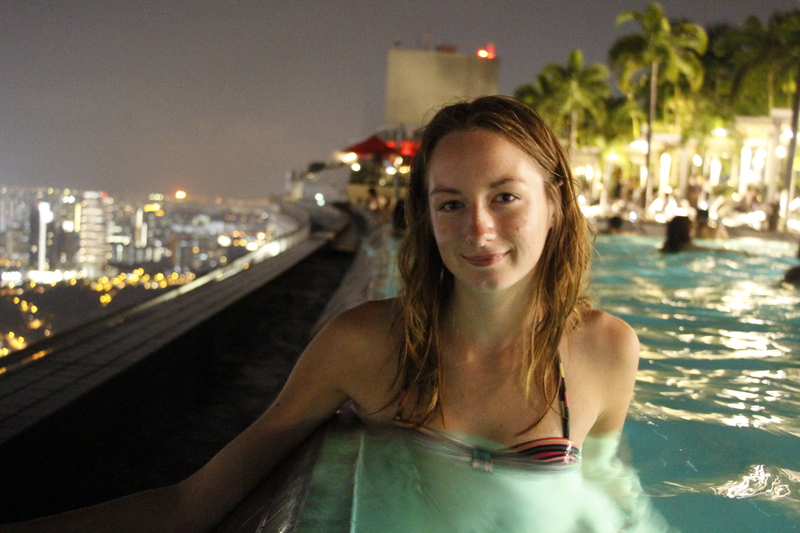 I can’t imagine going to Singapore and not having a swim there. I saw pictures of it, but being there is just a completely different experience. It’s magical. It is the most Instagrammable place in Singapore! I practically spent all day there, swimming, sunbathing, relaxing, enjoying the view. The good thing is that there are some hot tubs as well on the other side with a view to the ocean and Garden by the Bay, so you really have it all. Enough of the talk, let the pictures show you why I’ll never forget this day. Did you like this post? Why not PIN it for later? Dubrovnik: City walls or Cable car? 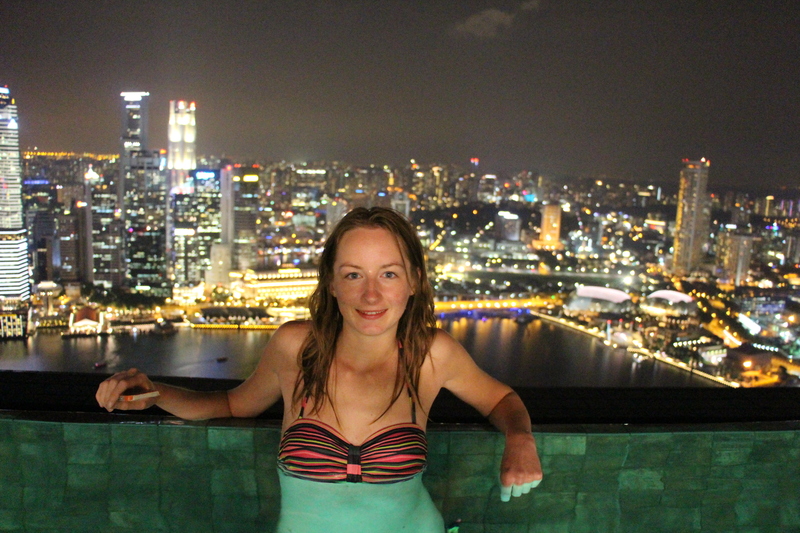 Top 10 Singapore | Travel Hacker Girl - A blog for travellers. 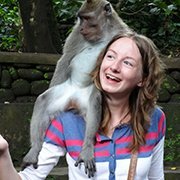 Different sides of CouchSurfing | Travel Hacker Girl - A blog for travellers. 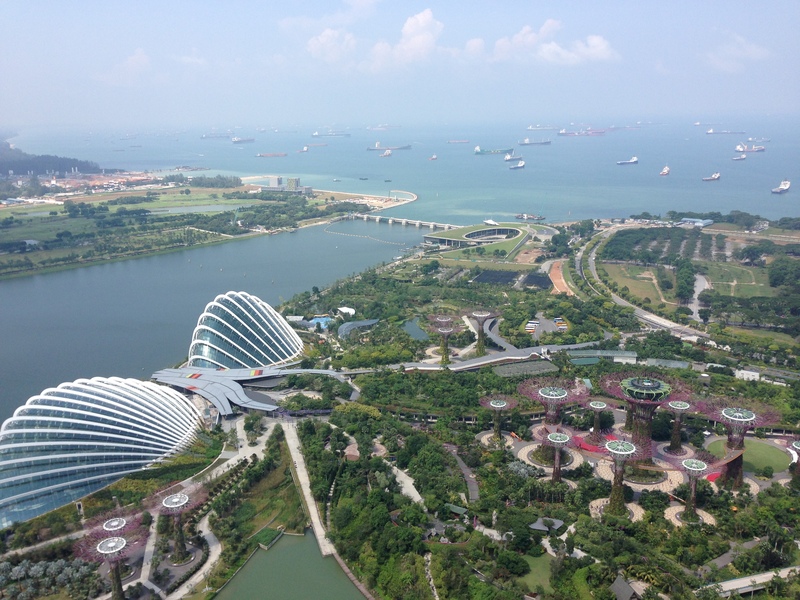 Finding a roommate is a great hack, but if you are already in Singapore, you are still able to go to the top of the MBS. 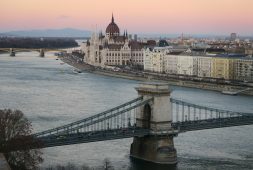 You can buy a ticket there for around 20S$ which is good for the Observation Deck, so you are not allowed to use the pool or to enjoy the 25S$ beers in the bar, but you can walk around and just admire the view. 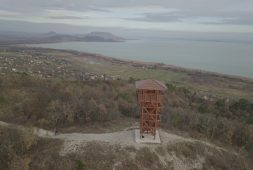 Great blog Enikő, keep it up!